Pliers and wire cutters Beta tools are designed to help in every way manual work, offering easy handling, convenience and security of having in his hands the tools efficient, guaranteed by the brand Beta Tools. Pliers are available for every application, from the most common Pliers Beta universal calipers for plumbers, the release pincers and a parrot. 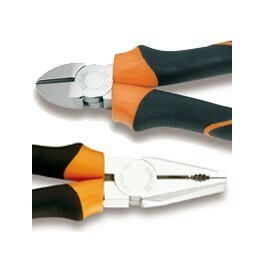 Cutters for electronics Beta Tools , are special Cutters for micromechanics , precision electronics and model .